Letters are just letters until you make them words. High in the sky incomplete words float by. Quick, fill in the missing letter. Load the vowel, line up to shoot - Blast off! 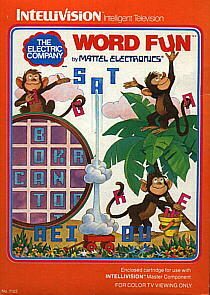 Then go off to the jungles where monkeys scamper through trees, grabbing letters to build into words. When you please, move on to a quieter game. 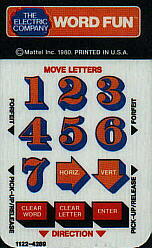 Unscramble letters and spell words that criss-cross on the display. Through the magic of games, you´ll learn that spelling can be fun - all the while you play.